Prominent & Leading Manufacturer from Noida, we offer chemical earthing electrodes, maintenance free earthing rods, cathodic protection grounding system, copper bonded electrodes, copper grounding rods and gi pipe earthing electrode. 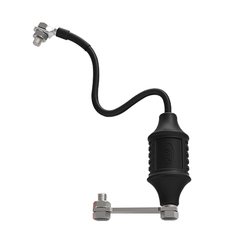 We are the providers of Chemical Earthing Electrode that have been made under the supervisions of professionals who have immense experience in this field. Our products are well maintained and have immense functional attributes. They are tested for their dispersal and are outstanding in terms of quality. We adhere to all the basic properties set by the market in order to offer products that contribute to the industrial platform. Our UL Listed Copper Bonded Rods for grounding system help in dissipating the fault current to protect your assets being damaged from the hazards of fault current. 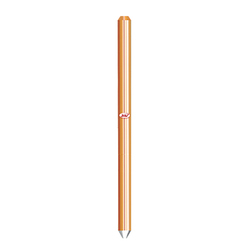 The copper bonded ground rods are molecularly bonded with 99.98 pure Electrolytic Copper (CU) over a low carbon tensile steel rod, with the thickness of 254 micron copper coating. Application Earthing/Grounding is a mandatory safety step for every electrical installation. A well designed, ow impedance and an effective cathodic protection grounding system are a basic requirement of any electrical installation & it is very essential that it should work properly as it forms a primary line of protection for equipment and the operator from the damaging effects of fault current. We are the leading manufacturer and suppliers of Copper Bonded Electrodes. These are manufactured by state of the art technology and good quality raw material to have long shelf life and good results. JMV is highly appreciated name for application-related research work and customer-oriented solutions. 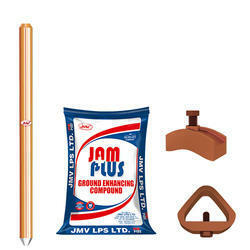 JMV’s UL listed Copper Bonded Earth Rods are based on Solid Rod Technology that provides better surface area which offers smooth dissipation of fault current. The copper bonded rods are highly appreciated and recognized worldwide due to its better working life. 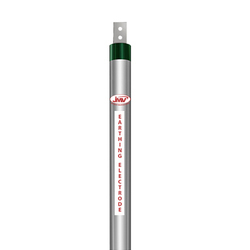 Supplier and manufacturer of safe earthing electrode. We introduce an effective earthing solution vital to save human life, Consumer Property and utilities equipment. We manufacture complete range of earthing rods which can also be customized to meet our valuable client’s requirements. 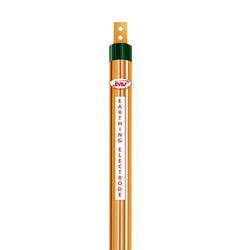 For best grounding results we are supplying copper bonded earthing rods at the cost of GI electrode. The chemical earthing rods offered by us manufactured with innovative technology and contain a conductor rich crystalline mixture, which helps in protecting the main earth rods in the soil. Our products ensure high conductive state that enables the fault current to effectively pass on to the ground. We provide Copper Bonded Earthing System well-designed Earthing system is essential for any electrical installation to avoid dangers associated with fault currents. Good Earthing protects both equipment and people against dangerous step & touch voltage. Copper coating thickness over 0.254mm, meeting UL 467 specification, bearing UL certificate. We are the supplier and manufacturer of maintenance free earthing system, chemical earthing system, back fill earthing compound and chemical earthing rods in India. Our products are well maintained and are made under the supreme supervision of qualified technicians. 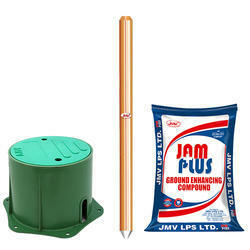 Looking for Grounding System ?